What do you get when you combine two of the most iconic Internet brands? One incredibly bland corporate name. 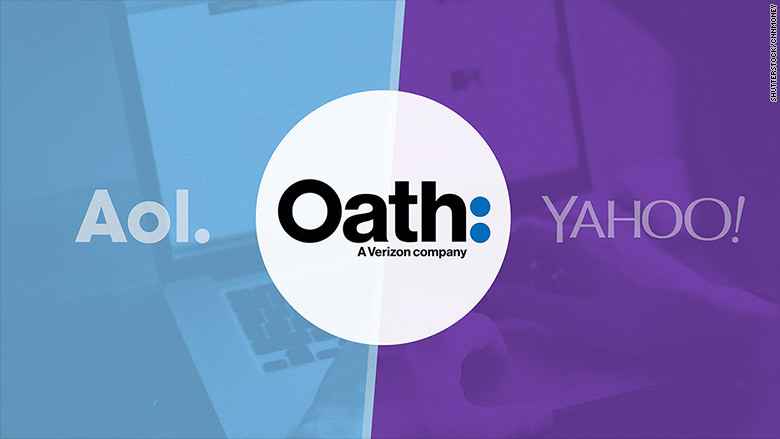 Yahoo (YAHOF) and AOL are expected to form a new company under Verizon called Oath. The new company is expected to launch this summer after Verizon's (VZ) acquisition of Yahoo is completed. Tim Armstrong, the head of AOL who helped spearhead the Yahoo acquisition, teased the new company's launch in a tweet. "Billion+ Consumers, 20+ Brands, Unstoppable Team. #TakeTheOath. Summer 2017," Armstrong wrote on Twitter. The new name was first reported by Business Insider. A spokeswoman for AOL added several more corporate buzzwords by way of explanation: "In the summer of 2017, you can bet we will be launching one of the most disruptive brand companies in digital." Marissa Mayer, Yahoo's CEO, is not expected to join the new company, according to a report from Recode. Armstrong will reportedly oversee the new company. AOL declined to comment on the Recode report. A rep for Yahoo declined to comment beyond a statement from Mayer when the Verizon deal was first announced last year. "For me personally, I'm planning to stay," Mayer said last July. "I love Yahoo, and I believe in all of you. It's important to me to see Yahoo into its next chapter." Yahoo's next chapter will likely begin sometime this quarter if and when Verizon closes its deal to buy the company. Verizon agreed to buy Yahoo's core Internet business for $4.8 billion in July. Verizon's goal was to use Yahoo's billion users to build an online advertising powerhouse to rival Google (GOOGL) and Facebook (FB). However, the deal was put in jeopardy by revelations that Yahoo had experienced two massive security breaches affecting more than one billion users. Last month, the Department of Justice indicted four individuals, including two offices of the Russian Federal Security Service, in connection with the Yahoo hack. In February, Verizon and Yahoo agreed to cut the acquisition price by $350 million and to split the cost of any legal liabilities resulting from the breaches. An independent investigation concluded this year "certain senior executives" at Yahoo "did not properly comprehend or investigate" the security breach. Yahoo's board also opted not to award Mayer her cash bonus. After Verizon scoops up Yahoo's Internet assets, what remains of Yahoo -- mostly investment holdings in Alibaba (BABA) -- will be renamed Altaba. Mayer will step down from the board of that company once the sale is complete. 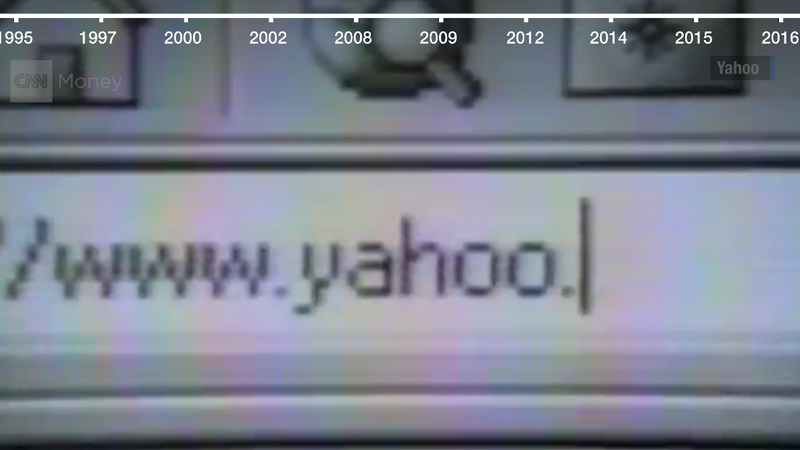 Yahoo as we know it may be done. But at least we'll always have Oath and Altaba.